Photo: Bill Jacobson Studio, New York Andy Warhol, Shadows (1978–79). Dia Art Foundation. 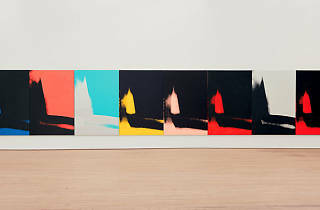 © 2014 The Andy Warhol Foundation for the Visual Arts, Inc./Artists Rights Society (ARS), New York. 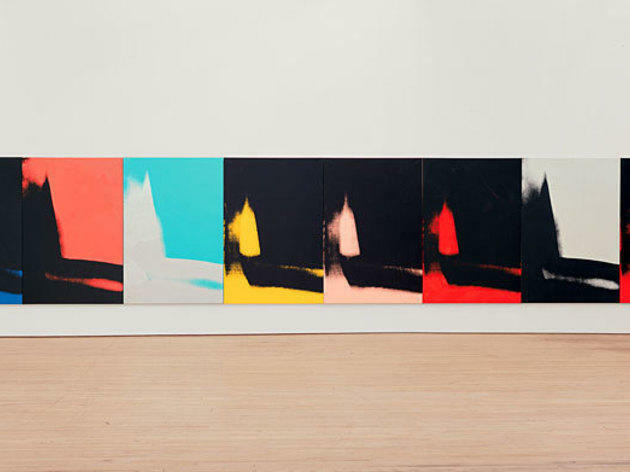 You'll recognize Andy Warhol's style immediately in "Shadows" (1978-79), a series of 102 handpainted and silkscreened prints of photographs of shadows seen in The Factory, the artist's studio. The panels alternate between negative and positives of the shadows. The size of this work is staggering, and that's the reason you should see it. MOCA is only the second institution ever to feature the full collection of paintings. "It is a very rare event to be able to experience the complete work as Warhol intended,” said Philippe Vergne, MOCA's director. See it for free every Thursday from 5-8pm.